Once fermentation one is finished, your kombucha is ready to flavor. You can create endless recipes and it is fun to experiment and create interesting new variations. 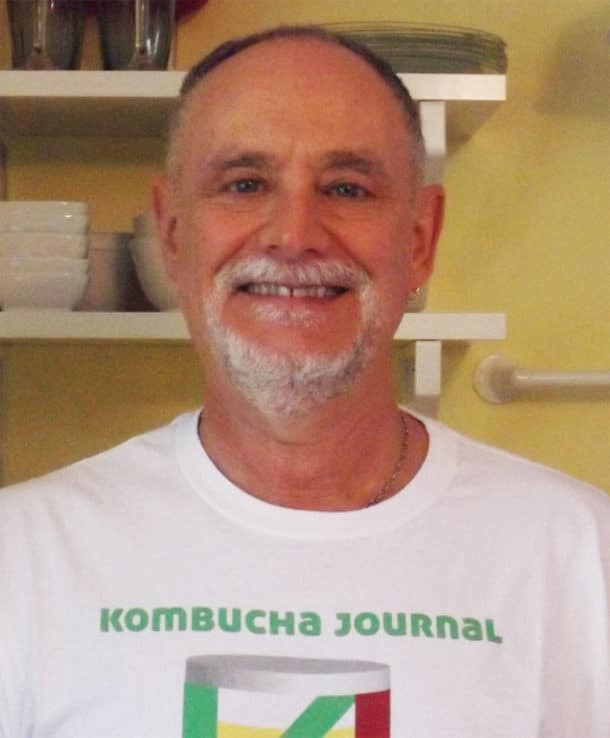 You can flavor the kombucha in a second large fermentation vessel, but most folks do it in the bottle. 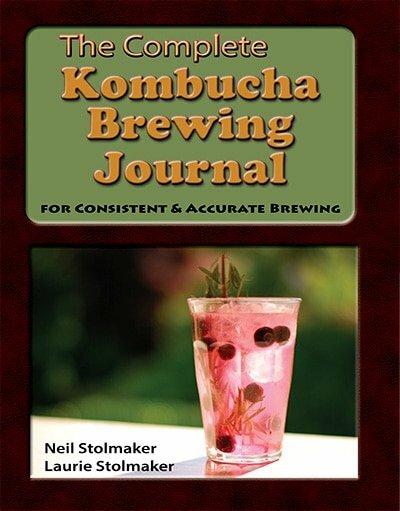 That way, you can make more than one flavor from one batch of brewed kombucha. Bottles make it easy to store your finished kombucha in the refrigerator and transport to share with friends and family. 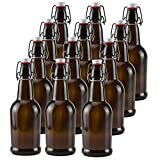 There a number of different bottles that will work to flavor and store kombucha, but there are certain must-have characteristics. The bottle should be made of strong glass. The glass in many bottles, like those that beer or soft drinks come in, is often not strong enough to withstand the pressure that builds up as the kombucha eats the residual sugar and creates the carbon dioxide that makes the bubbles. In some instances, they could even explode. The bottle lid should fit securely and not allow any gas to escape. 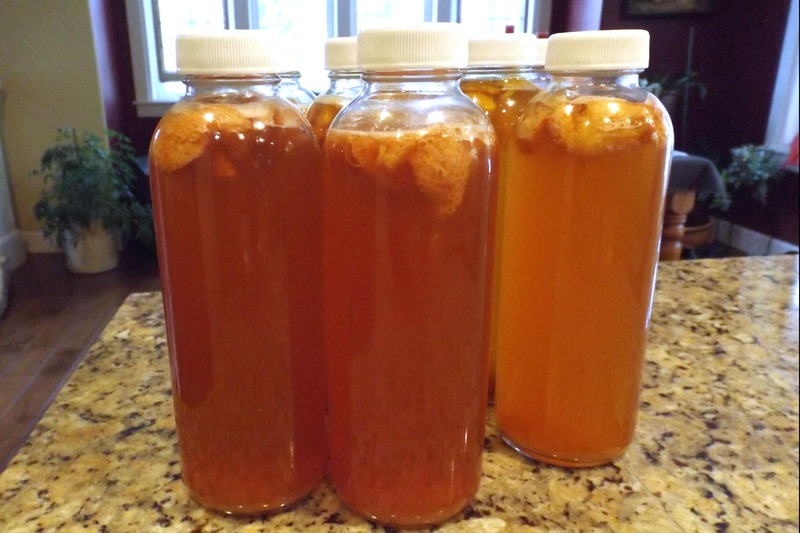 Bottles that are not sealed properly will not hold in the pressure that makes kombucha fizzy. They could also leak, which could get messy. Since you will be using the same bottles many times over, you want ones that are easy to clean. 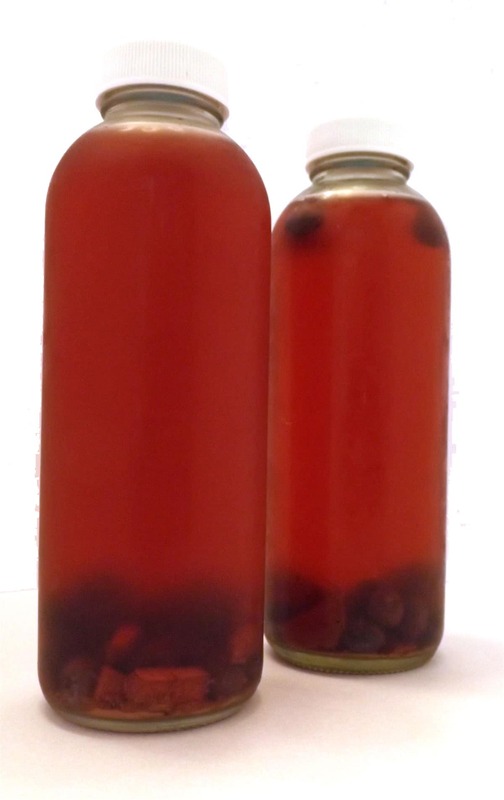 In the fermentation two phase, you add fruits, vegetables, spices and herbs to the bottle to flavor the kombucha. Bottles with larger openings make it easy to add diced or chopped fruit or vegetables. People often ask “Can I store kombucha in plastic bottles?” The answer is yes, you can store kombucha in plastic. But, we would only consider doing so as a last resort. Plastic bottles, like the kind that bottled water and soft drinks come in, can work in a pinch to store kombucha if the tops screw on tightly. However, plastic, even food-grade plastic, may contain undesirable chemicals that can leach into the kombucha. Many plastic bottles have walls that are too weak and will soon stretch and deform as the pressure from the carbonation builds up inside. Also, plastic is easily damaged, and scratches can harbor foreign bacteria. 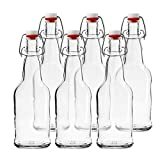 Our favorite bottles, like these available on Amazon, are perfect for flavoring and bottling kombucha. They are made of strong glass, have tight-fitting lids, as well as wide mouths that make it easy to add flavoring ingredients and clean with a bottle brush. 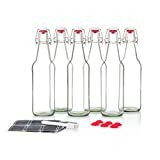 Although not our personal favorites, many folks like to bottle their kombucha in swing-top bottles like these. 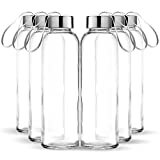 They are made of strong glass and have tight fitting lids. They are just a little more trouble when it comes to adding diced or chopped fruits and vegetables. What bottles are your favorites when it comes time to bottle your booch? Please leave your comment below.